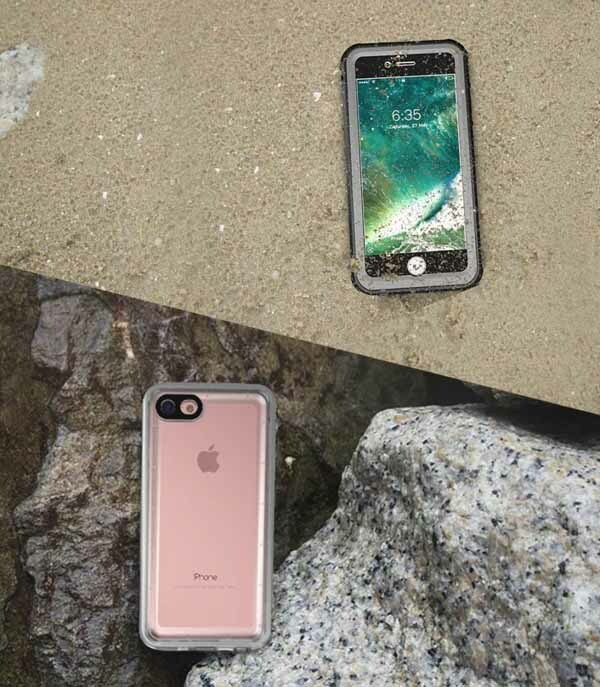 If you are prone to dropping your iPhone in water or even just dropping it in general, any of these five best waterproof iPhone 8 and iPhone 8 Plus cases will help your device survive. If you are looking for a secure case with a compact and portable design, you might consider the Charlemain case for your iPhone 8 or iPhone 8 Plus. The case will reliably repel water in depths of up to 2 meters and for up to two hours. It is important to note that it comes with the IP68 waterproof rating. Another highlight of the iPhone case is that its durable and rigid build enables it to survive moderate abuse from users. Thanks to the 810G-516 protection, the smartphone will withstand even the roughest drops. The Vapesoon is definitely one of the best waterproof iPhone 8 cases because aside from offering reliable water resistance, it also offers a rigid design thanks to the hard PC (polycarbonate) outer shell and soft, shock-absorbing TPU (thermoplastic polyurethane) inner shell. Its rear is transparent, which means your friend can see how stunning your iPhone 8 looks tucked in this smartphone case. The UBesize case offers stylish, transparent iPhone 8 protection that still lets you see your device even though it’s in a case. It will securely protect your smartphone from drops and dunks thanks to its high-end, durable construction while looking stunning in the process. The UBesize case is recommended for anyone who tends to drop their smartphone quite often. As expected, the case boasts IP68 dust and water resistance, allowing your smartphone to soak into the water up to two meters deep. 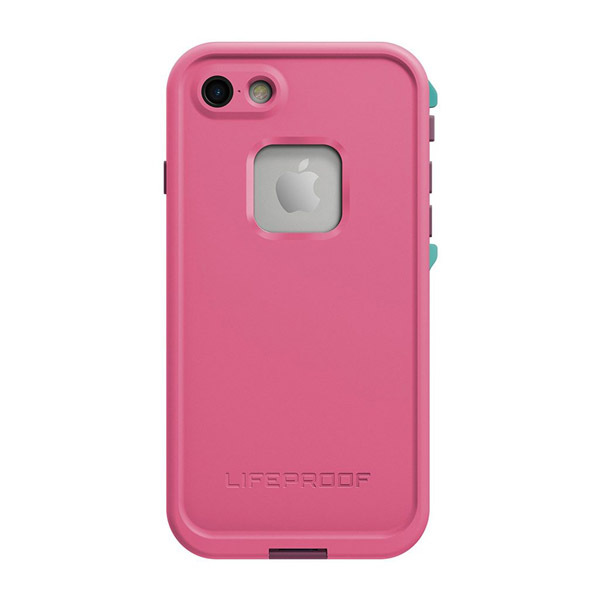 If that’s not enough, then the shockproof design may convince you to buy it. 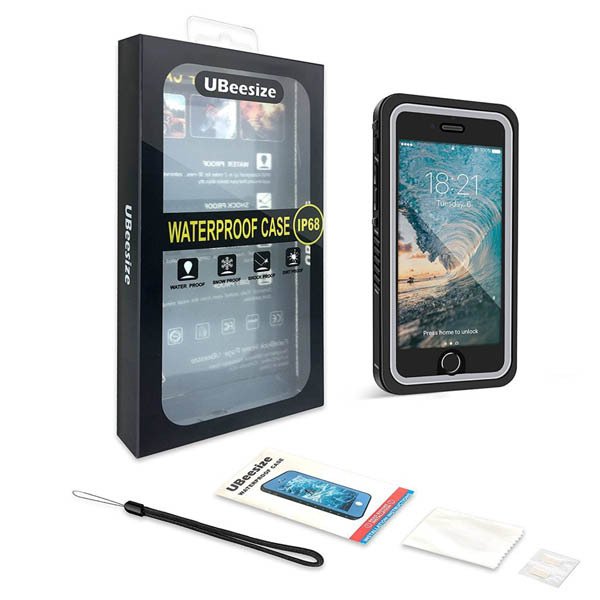 If you have heard about Littleproof before, then you probably know that it is one of the best waterproof case manufacturers for iPhones, and its FRE Series case is no exception. The case boasts an IP68 rating and allows you to submerge your smartphone in water up to two meters in depth for one hour. If that’s not enough, it is worth mentioning that the FRE series will effortlessly survive a fall from two meters high in the air. 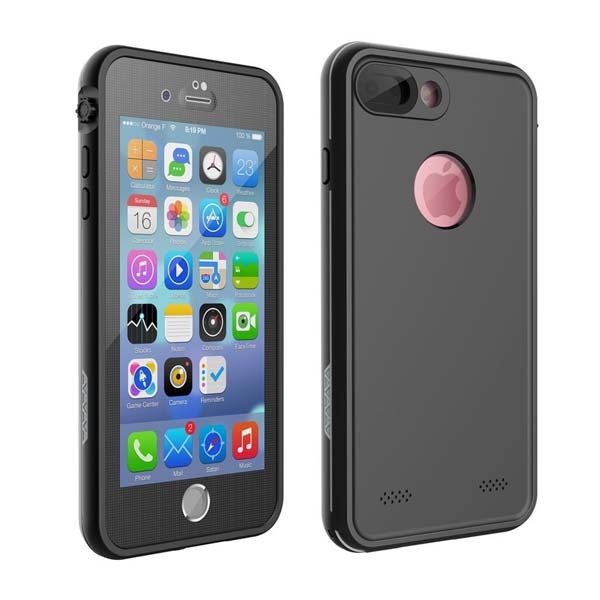 If your budget is restricted but you want to own an elegant and handy waterproof iPhone 8 case, there is no better option than the BuySShow case. Coming in eight beautiful colors, the BuySShow case features a durable design that will protect your iPhone 8 from damage. It boasts an IP68 dust and waterproof rating and will protect your smartphone in submersion in depths up to one meter for 15 minutes. 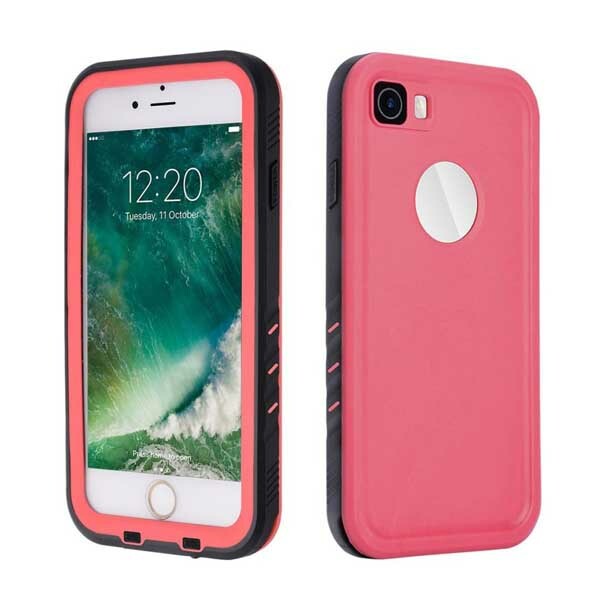 The case is built to provide secure and reliable protection for your iPhone 8 while being shock resistant and charger-friendly. The case also provides easy accessibility to all the buttons on the smartphone without affecting the sound quality.